As spring has sprung, it's time to dust off your boat and get stuck into some serious pre-season boat maintenance. Here are our top 15 must do jobs. It's spring at last and there's a bright new season to look forward to. But first you need to get busy with the important task of fitting out your boat. This applies even if the boat has been left afloat and in commission all winter. 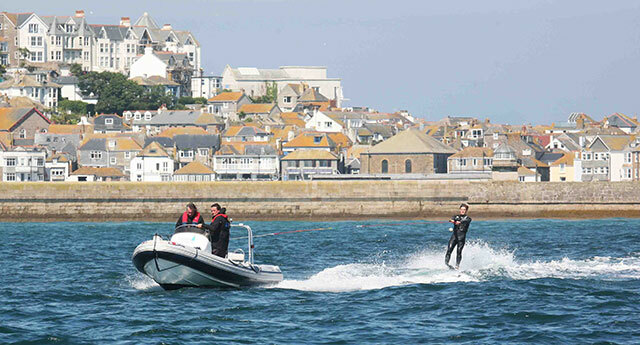 If you're going to make the most of your season, time and effort spent now will reap its rewards once the good weather hits and should mean you minimise your lost days on the water, and have a safe and successful season. Hopefully you made a good start by putting some time in when you laid up your boat (see our laying-up and winterisation tips) and ensuring you packed it away properly and protected it with a good cover. If you did, you will find things much easier now. If you skimped on the laying up, your fitting out jobs list will simply be a bit longer. Whether or not the boat has been stored ashore for the winter there will be essential items to attend to before using it for the main season. 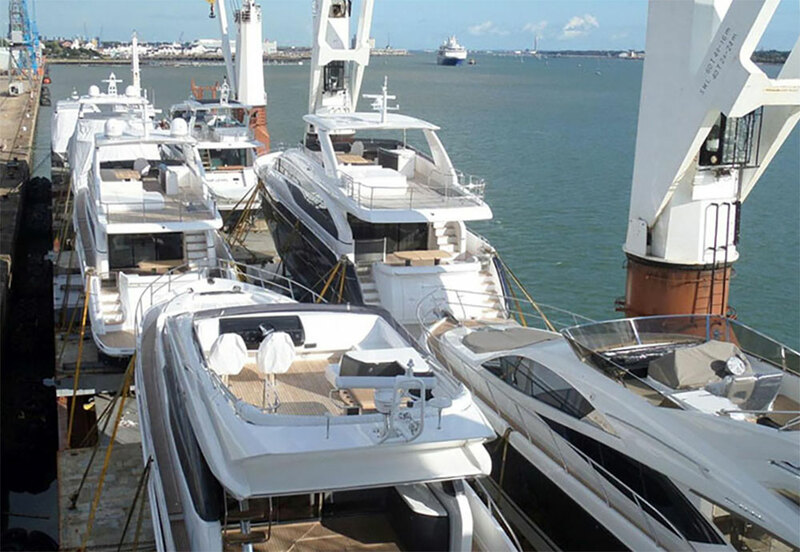 Maintenance of any boat – whether it’s a modest powerboat or a world-girdling cruising yacht – is a continuous process requiring a constant eye to be kept on anything that may need attention. However, the beginning of the season is the time for a more comprehensive inspection and service of the vessel’s systems and structure. A polish and wax will give your boat a new lease of life and is especially important for deep colours, which tend to fade relatively quickly. Check fibreglass mouldings for scratches, chips, stress cracks and other gel coat damage. Wooden boats are at risk of damage caused by failure of the paint, varnish or epoxy coatings and the ravages of freshwater and frost. Salt water is a mild preservative, so most problems are found where rainwater is allowed to settle Any damaged paintwork or varnish needs attention. See more about maintaining flawless varnishwork here. Teak decks on fibreglass or metal boats have a limited lifespan, any signs of loose caulking, split planks or leaky deck fittings should be attended to immediately to prevent water getting under the deck. Much of the damage to such decks is the result of scrubbing with a stiff brush, which can wear up to 1mm per year from the timber. A soft brush, used gently across the grain when washing decks will avoid this wear). If your decks are fibreglass and leaks have developed, read all about dealing with the leaks here. 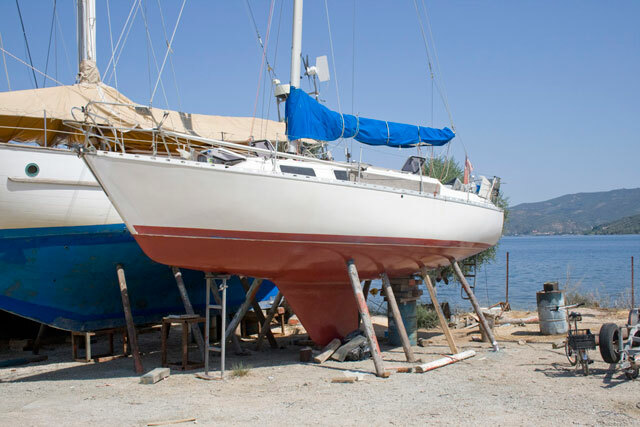 The most obvious task here is cleaning the bottom and antifouling (read about how to prepare and apply antifouling here). However there are other important servicing tasks that must be carried out to prevent the risk of expensive damage at a later date. Among these are the anodes that protect the propeller, shaft and P-bracket from galvanic action. In addition it’s worth checking the cutless bearing that supports the propeller shaft either at the P-bracket, or where it exits the hull, for wear. Ideally there should be little more than around 1mm of lateral or vertical movement of the shaft here. 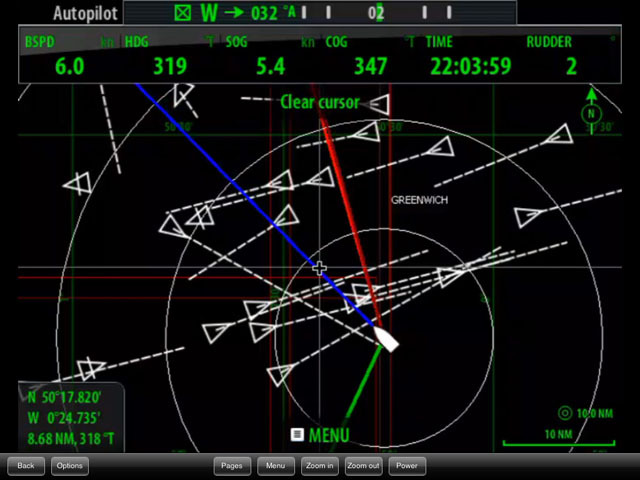 Ideally there should be less than 1mm movement of the propeller shaft. Yachts with saildrive transmission units also have an anode (usually just ahead of the propeller) that needs regular inspection and replacement. Failure to do so can cause the entire outer casing of the unit to succumb to corrosion. In addition, at the very least saildrive units should have the oil inspected for evidence of water ingress while the boat is ashore, although some manufacturers specify renewing the oil annually. If any water is present in the oil (it will appear as a milky substance) the oil seals around the shaft that exits the drive underwater will need to be replaced. Rudder bearings should also be checked with the boat ashore – there should be minimal movement if you try moving the bottom of the rudder blade from side to side. Any play in the steering, whether as a result of worn bearings or other problems, should also be rectified as quickly as possible (learn how to replace rudder bearings here). 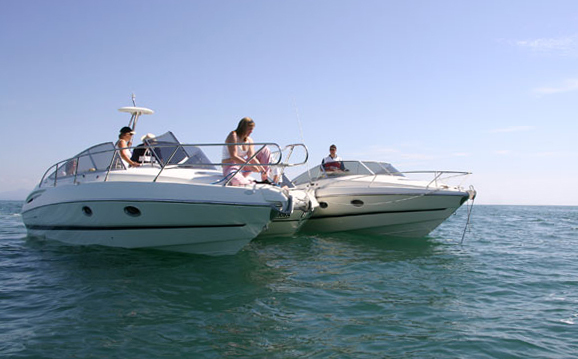 On a boat with wheel steering, the entire mechanism should be checked for wear or other damage. 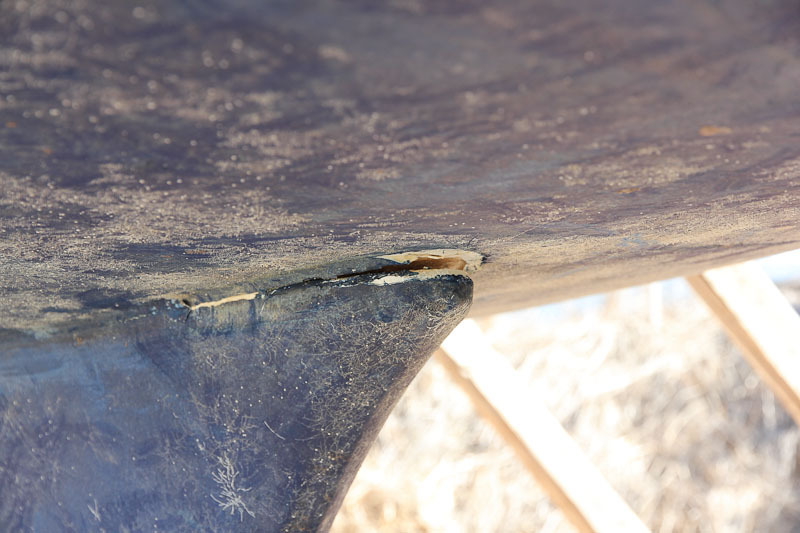 The keel of sailing boats should be inspected for any obvious grounding damage – and for any evidence of movement between the keel and hull. Any indication of problems here should then be investigated by a surveyor and repaired in accordance with his or her recommendations. Check the join between the hull and the keel. If any movement or gap is evident, have a professional surveyor advise on repairs. Through-hull fittings are all too often neglected. Each one should operate smoothly – if not it needs to be dismantled, freed up and greased. It’s also important to check for evidence of the dezincification that would seriously compromise the strength of the fitting. An easy check is to scrape back a small area of antifouling on each one and sand away the very top layer of oxidised metal with a thumb-sized piece of emery paper. If the metalwork is in good condition you will see a bright yellow colour, however, a pinkish hue indicates damage due to dezincification. 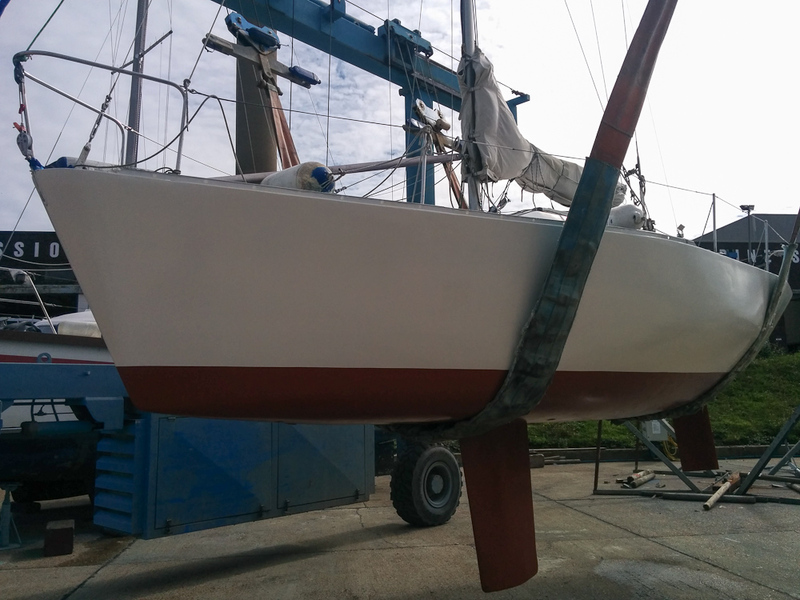 If the fittings are in good order, prime the exposed area with an appropriate primer before applying antifouling. 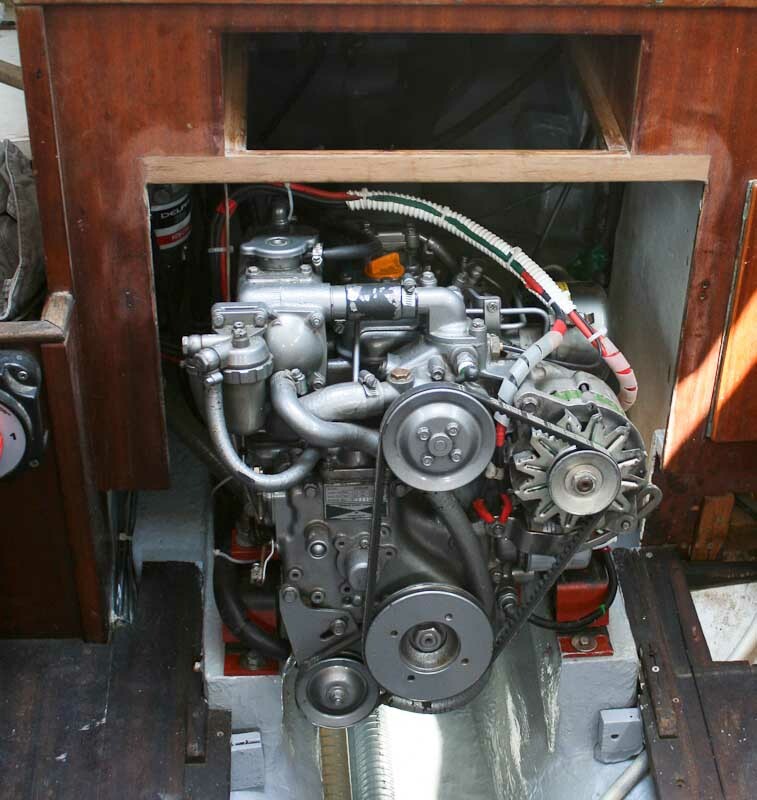 While the stern gear or saildrive must be attended to with the boat out of the water, engine servicing can take place either ashore or afloat. Diligent owners will have already done this in the autumn, to give the engine the benefit of new oil over the off-season, as well as winterising the unit to prevent frost damage over the winter. As a minimum an annual service is likely to include replacing fuel filters, the raw water pump impeller, drive belts, plus the engine oil and filter. However, it’s important to always consult the documentation for the unit in your boat to ascertain whether any additional checks or procedures are required. Read our top diesel engine tips for trouble-free power. Ideally the engine should have been serviced before the winter, but better now than never. Almost every item of marine safety equipment has a limited service life or needs periodic maintenance. This includes distress flares, EPRIBs and PLBs, jackstays, lifebuoy lights, lifejackets and more. In addition to giving this gear a full annual service, as per the manufacturer’s recommendations, the start of the season is a good time for a comprehensive audit of the equipment carried, including documenting further tasks that will need to be carried out during the season, including periodic lifejacket checks. Don’t forget the lifeline lashings at the pushpit – ideally these should be replaced annually, and the security of the knots checked much more frequently than that, however, I’d wager there are many yachts where these have been untouched for many years. Ideally, the boat will have either been well ventilated over the winter, or have had the benefit of a dehumidifier to keep the interior dry. However, if mould is starting to form on surfaces or soft furnishings it’s important to deal with it as soon as possible and to dry the interior of the boat out before warmer spring weather provides ideal conditions for spores to multiply. It’s also worth taking making a close inspection to check for any leaks from windows, hatches or deck fittings – you can be sure they these become more pronounced when the boat is a sea. 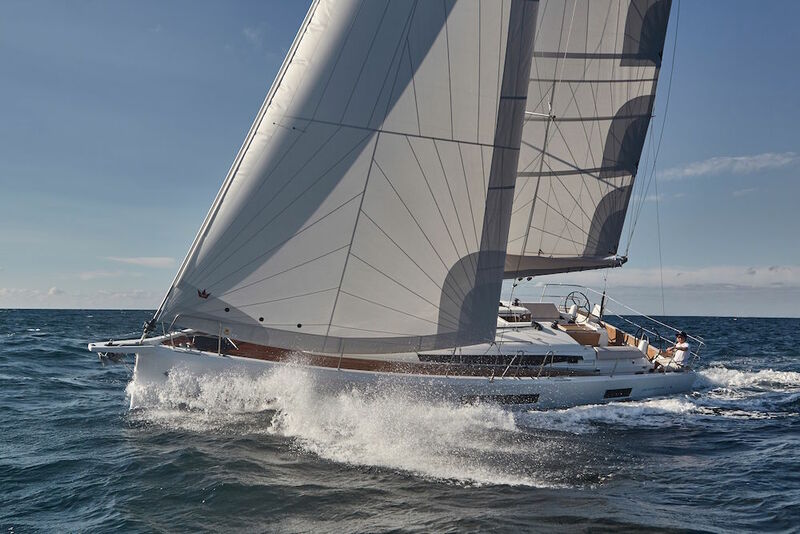 Flexible gas pipes have a five-year lifespan, but if they show any signs of perishing, or if braided outer cores are starting to fray, they should be replaced immediately by a qualified marine fitter (see our full-length feature: Gas safety onboard: guide for yachts and powerboats). Assuming the batteries have been kept charged during the winter, check that all the equipment, from navigation lights, instruments and autopilots to interior lighting, freshwater pumps and refrigeration works as it should. Many of these items have a lead time for replacement, so the sooner you identify any deficiencies, the sooner you’re likely to have the boat fully operational. It’s all too easy to neglect sail, rigging and deck hardware until something breaks or fails to work. Start by assessing the condition of all the lines, looking in particular for signs of chafe, check the condition of splices and look for cracks in the casting of snap shackles next to the hinge. Read more about checking your deck fittings here. It’s also important to service your winches and the windlass and it’s worth checking for wear on the jaws of clutches. While a visual check won’t tell you everything about the rig, a thorough inspection can still reveal broken strands of wire, cracks in the mast wall around shroud terminals and damage near the spreader roots. In addition to a comprehensive check at deck level, it’s worth going aloft at least once a year to check that all is well. Pay close attention to the area around fittings, swages, spreader roots, and rigging terminals. 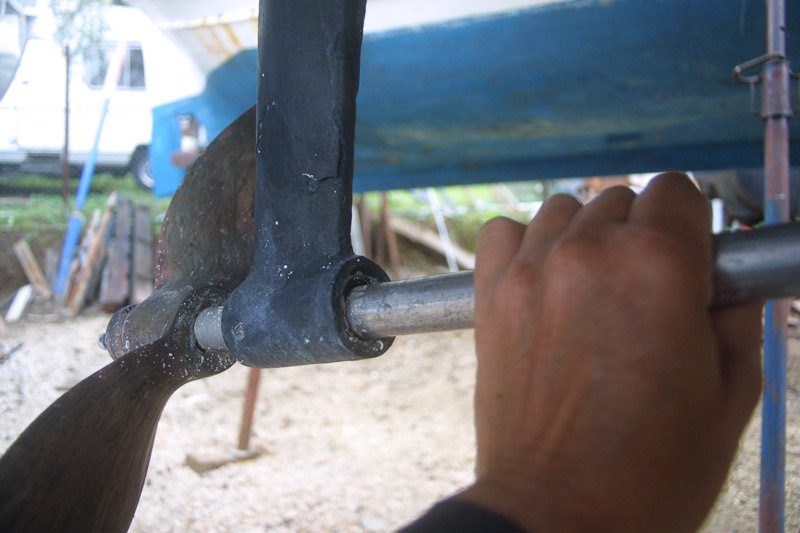 Spreader ends should be checked to ensure they are smooth and won’t damage genoas or spinnakers. See our full-length feature about basic rig checks and common problems. 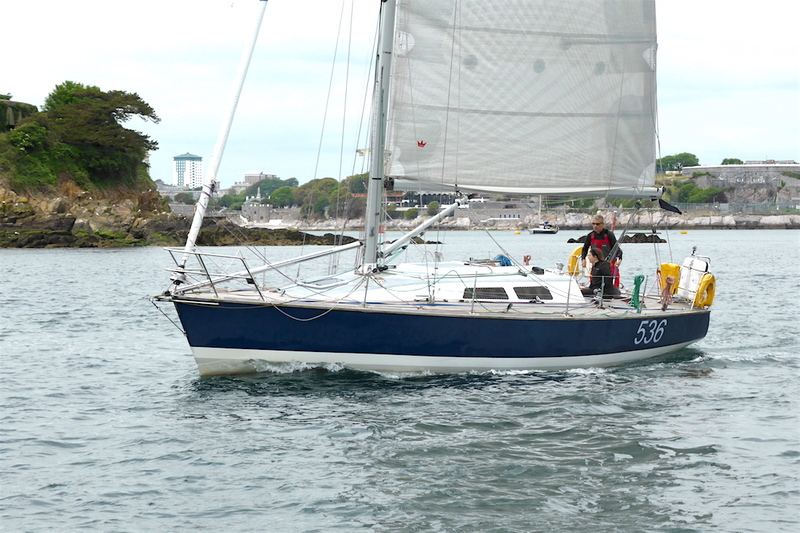 Examine sails for damage to stitching, as well as chafe or tears in the fabric. Pay particular attention to the areas around the head, tack and clew, as well as the leech, batten pockets and spreader patches. 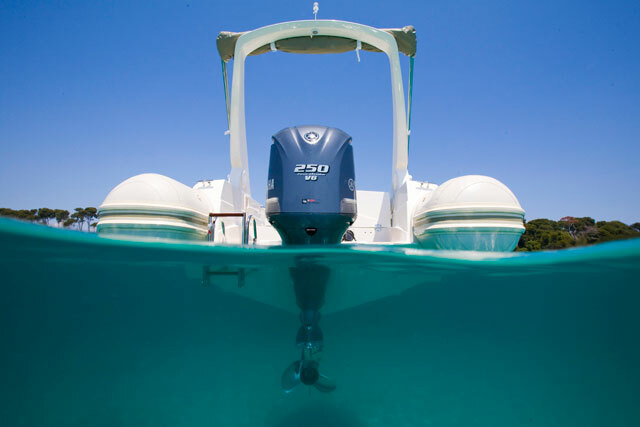 Find out more about maintenance in our full boat maintenance guide. What is AIS and is it worth fitting?